Close to Luton town centre there are serviced apartments ideal for corporate stays or for contract workers on a project in the area. 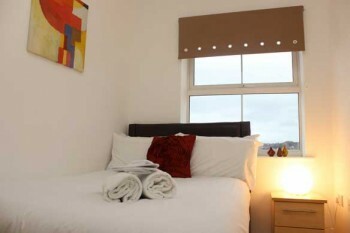 These apartments are available for short to long-term bookings. Each apartment has two bedrooms and either one or two bathrooms. They are fully furnished with a well equipped kitchen including laundry facilities. 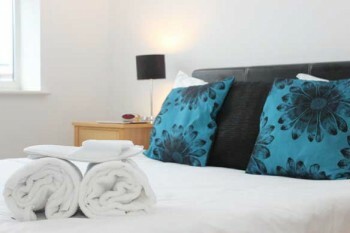 The apartment includes a weekly maid service, free WiFi and a secure underground car parking space. Our serviced apartments in Luton are ideally located close to the main town centre so shopping, eating out and entertainment venues are easily located on your doorstep. All apartments are stylishly furnished and offer the opportunity to cook and enjoy a meal at the dining-room table as well as to keep up with your laundry without having to pay to get this done for you. The living/dining area offers light, spacious accommodation in which to relax in after a busy day at work. There is a a private balcony to sit out on a warm summer days. The main bedroom includes a TV with built in DVD player. The bathroom is clean and functional with a bath. Luton train station is just a 5 minute drive or a 15 minute walk offering quick and easy travel links to other Cities with London Euston station just a 40 minute train journey from Luton. If having your own independence and homely comforts are important to you, then why not try a serviced apartment in Luton as an alternative to a B&B or hotel stay? Contact Us to discuss your requirements and to make a booking.